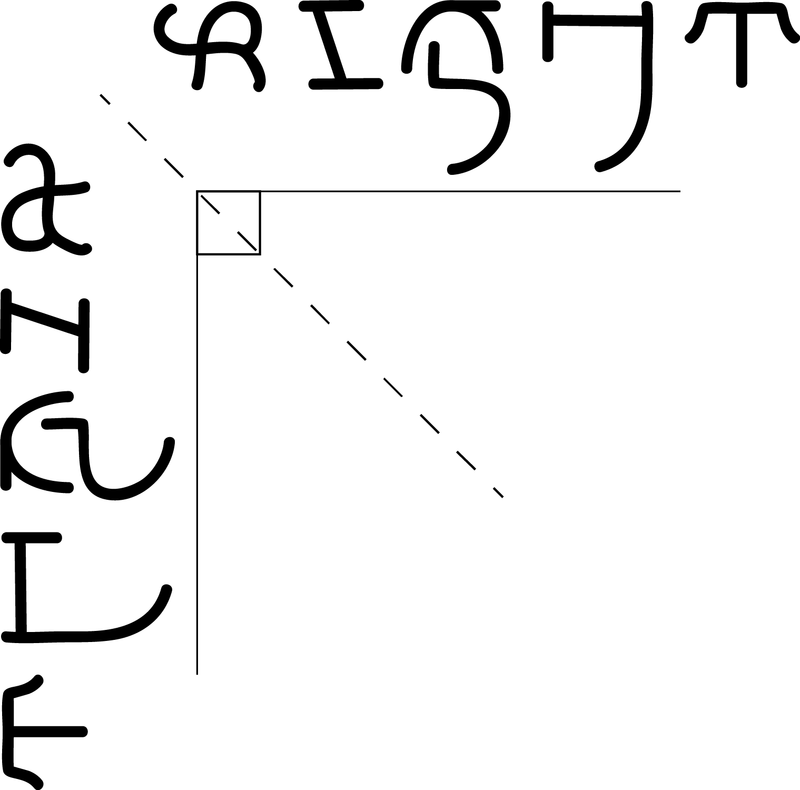 Right Angle: One of the many ambigrams made by Punya Mishra that appear in this series of articles appearing in "At Right Angles". All ambigrams are copyright Punya Mishra and cannot be used without permission. 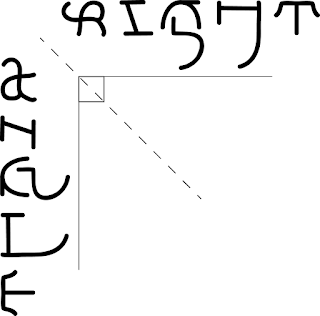 Punya and I are writing a series of articles on the subject of ambigrams. All the ambigrams are made by Punya. For this series, he has been making many new ambigrams, which communicate mathematical ideas. Already, in the space of working on a few articles, it looks like he has made the largest number of mathematical ambigrams. Here is a longer blog entry from Punya's blog, about this series of articles. His blog has further links to his amazing ambigrams. Dec, 2015. I presented Punya's and my work in TIME 2015, in Baramati, Maharashtra in my talk: On Punya Mishra's Mathematical Ambigrams. This was the seventh edition of TIME, which stands for 'Technology and innovation in Math education'. July, 2015. The fifth article is Part 2 of 2 on the subject of paradoxes. It covers self-reference, Russell's Paradox and visual paradoxes. This article includes a 'new paradox', a version of Jourdain's card paradox by Punya. Mar, 2015. The fourth article is on Paradoxes. It is part 1 of 2 articles on this topic. Here we consider what TRUE and FALSE mean in the context of mathematics. Its an introduction to math philosophy. Again, it has many interesting ambigrams. July 2014. The third article on Self-similarity. This one has some amazing ambigrams, and a graphic of the binary pascal's triangle I made many years ago. Mar, 2014. The second article is on Introducing Symmetry. I think Punya outdid himself in some of the ambigrams here. The ambigram for sin (which is periodic, a sin wave, an odd function) and inverse (modeled on a hyperbola) and exp-log were my favorites. But this month's puzzle ambigram is mind-blowing too. Nov, 2013. The first article has come out. It is: Introducing Ambigrams. There is a hidden message in the article. See if you can find it.